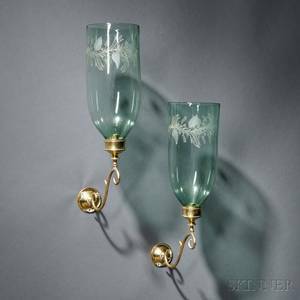 Tommi parzinger; pair of brass and glass wall sconces with silk shades; unmarked; fixtures: 15" x 12" x 6"
Archived auctions similar to Tommi parzinger; pair of brass and glass wall sconces with silk shades; unmarked; fixtures: 15" x 12" x 6"
Ignazio gardella (attr. 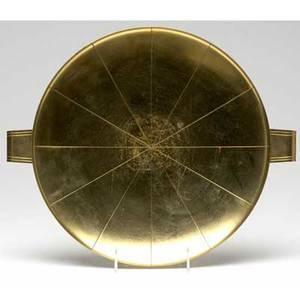 ); azucena (italy); pair of brushed and enameled steel sconces, c. 1960; unmarked; 17 1/4" x 13" x 6"
Tommi parzinger / dorlyn silversmiths brass serving tray. 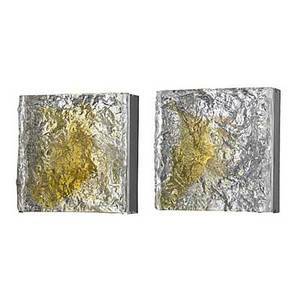 marked dorlyn silversmiths. 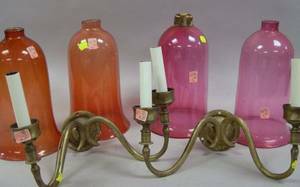 1 3/4" x 15" x 12 /12"
Pair of Brass Two-Arm Wall Sconces with Cranberry Glass Shades. 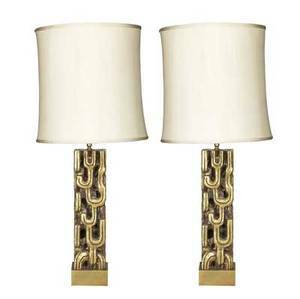 Set of Eight Brass Adjustable-arm Wall Sconces with Silk Shades. 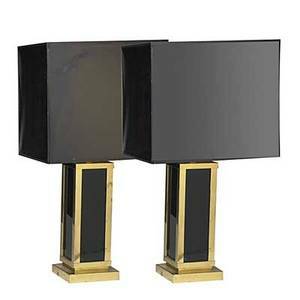 Stilnovo (attr. 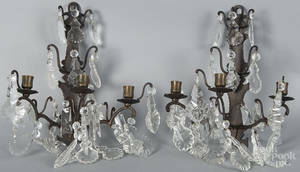 ); pair of brass sconces, each with two cased glass shades in polychrome; 14 1/2" x 6" x 5"
James mont; pair of gilded carved wooden table lamps with silk shades; unmarked; 41 1/2" x 19", base 22" x 6" sq." 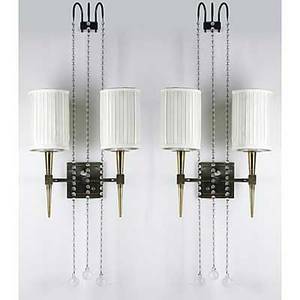 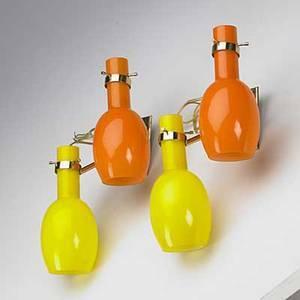 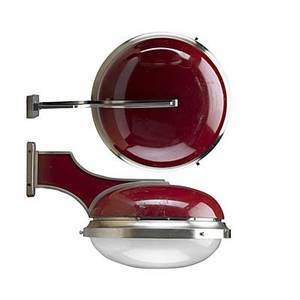 Venini; pair of glass and chrome wall sconces with original boxes, c. 1960; fixture stamped venini murano made in italy; 9 1/4" sq. 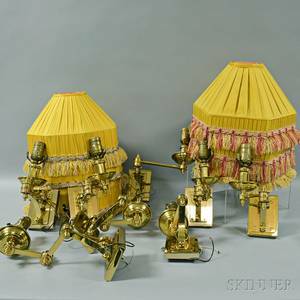 x 4"
Maison jansen; fine pair of brass and acrylic lamps with painted paper shades; unmarked; 32 1/2" x 17" sq.